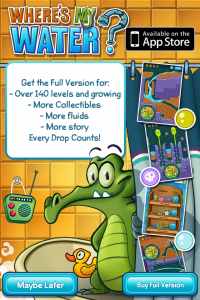 Several days ago, we had shared the announcement of Swampy having a “Where’s My Water?” Free edition released. 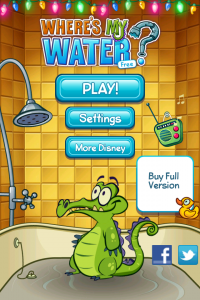 It sounded as if it was a limited edition of our highly rated paid version of Where’s My Water?. With the holidays approaching, I hadn’t had time to investigate! Well, I finally found some time, and very pleased with my discovery. 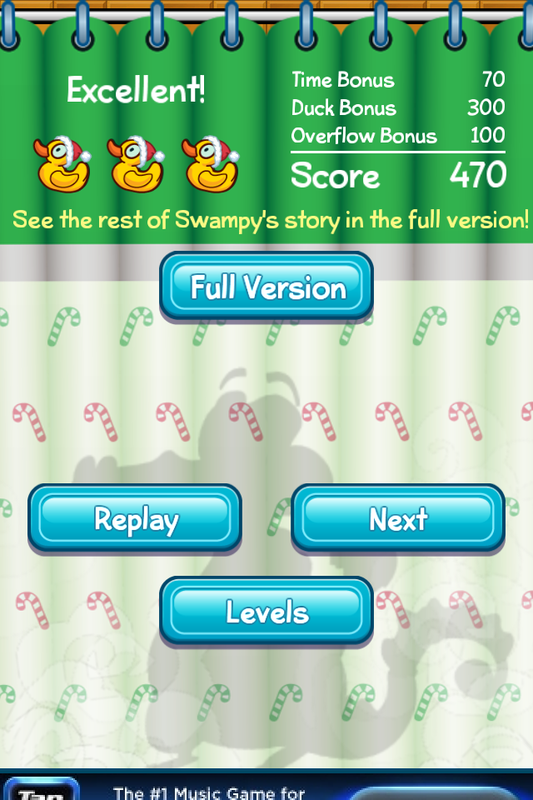 The game starts off in a fairly normal manner, with a familiar launch page and levels. 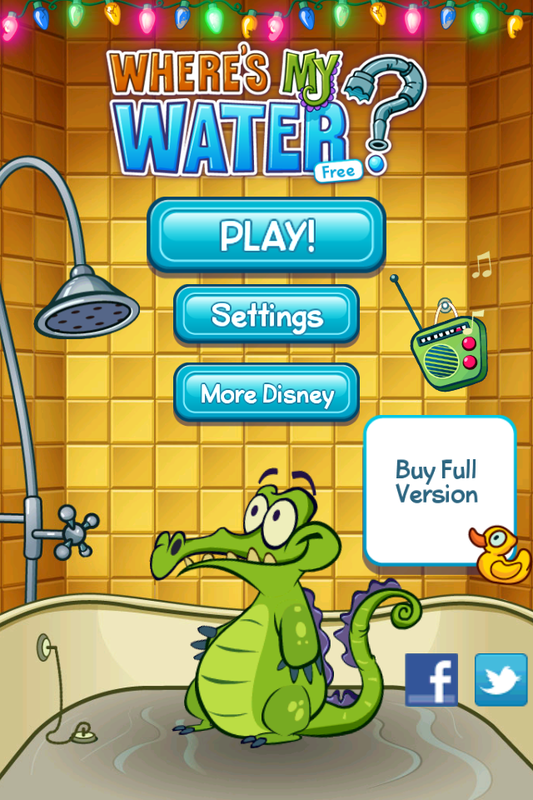 You’ll quickly notice a typical pop-up advertisement on the bottom of the screens, like many other “lite” versions of games. This seems a little tacky for Disney, who shouldn’t need this for their free versions. 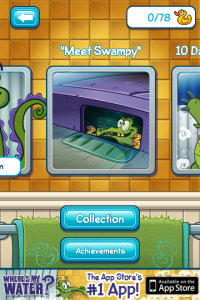 The first section you get to “Meet Swampy”. 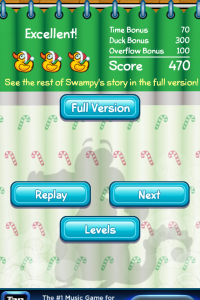 The levels start as quite easy, but teach the beginner the basics of the game. The game takes plenty of opportunities to have you buy the full version of the game. 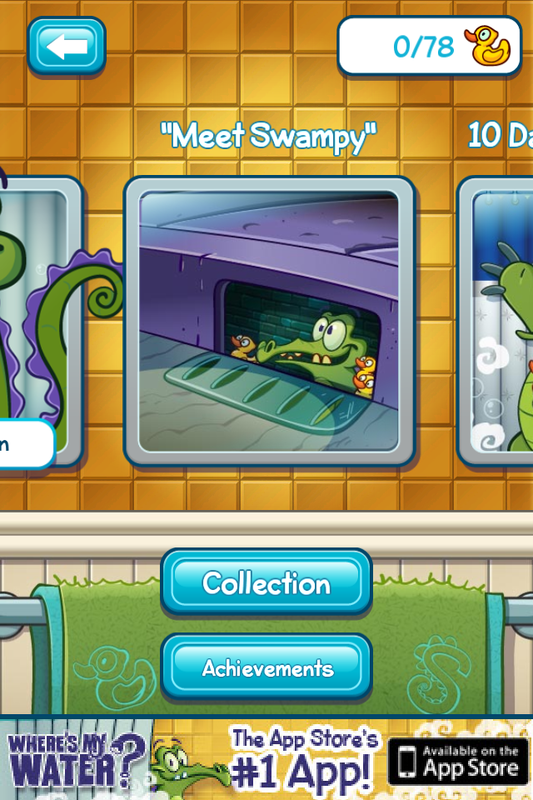 Once you are done with “Meet Swampy”, you are able to continue on to “10 Days of Swampy”. Each day, they add another level, for 10 days, having started on December 20th. Overall, I like the style in which they are doing this, and hope they continue with this method. I think they could have done something similar, but even more special for the fans who already paid the for the full version. This certainly has a feel of Angry Birds Seasons , and it will be interesting to see if they keep this going as Angry Birds has. I’ve given this version 4.5 stars, as I think the ads are a little tacky for a multi-billion dollar company to include for a demo version. 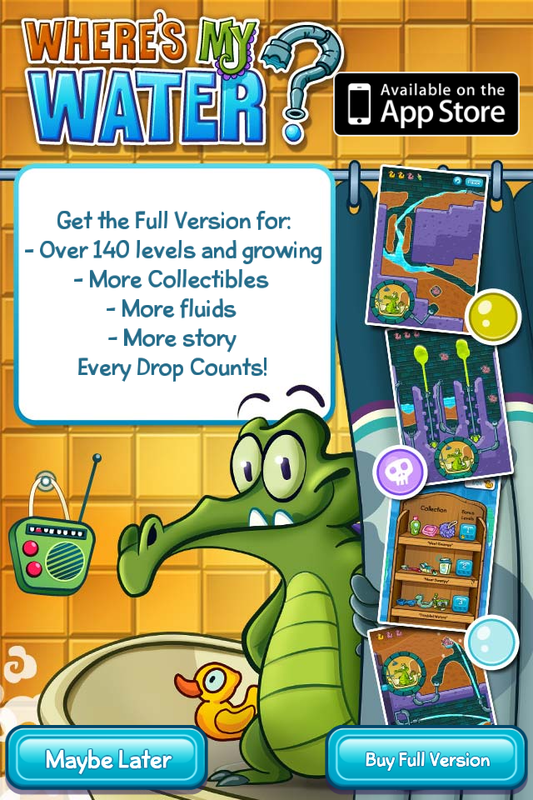 ENJOY THIS SPECIAL FREE VERSION WITH EXCLUSIVE NEW LEVELS NOT FOUND IN THE FULL GAME! 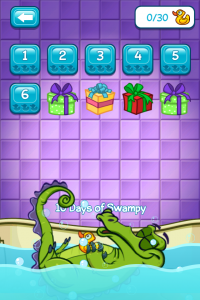 Where’s My Water Free features a special promotion — THE 10 DAYS OF SWAMPY. 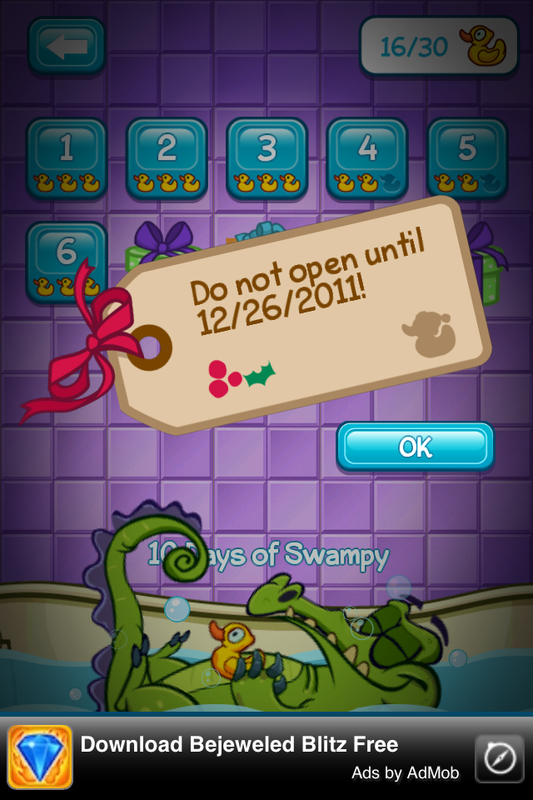 For 10 days beginning December 20th, a new level will unlock each day. Solve each of these and you will receive a special gift on January 1st — SWAMPY’S PICKS — Five of the best levels from the full version! Altogether, there are more than 25 FREE puzzles to enjoy! Funny, I was looking at this in the app store yesterday.